You shouldn't have to feel pressure to look perfect 24/7. Comfort. Everyone craves it, so when you are dressing yourself in the morning, why should your mentality be different? Do what makes you happy and discount what everyone else thinks. When I wake up in the morning and get my outfit ready; it really doesn't take me that long. I have a rotation of five sweatpants and some random T-shirts that were usually free. I'm not saying my look is a problem, in college and this wardrobe isn't unique, but when other girls think lesser on those who want to be comfortable is where see a problem. There are so many societal pressures alongside the added pressures of school– so what does it matter what I look like? I'm comfortable beyond measure. When I graduate and enter the workforce, I won't have the pleasures of walking around in my favorite sweatpants. At this point, I don't know how to wear clothes apart of them– but that's something for future me to work out. Life is too short to be overly consumed by appearance, especially when in college when appearance doesn't necessarily matter. So when you see online that wearing sweats, leggings or Nike shorts is unladylike– remind yourself that ultimately it doesn't matter what you're wearing to class. Change your mentality and care about the moments. Because when you are creating your memories, you won't remember your outfit — unless it was show-stopping. Take the energy that you would use to create the perfect outfit to create perfect moments instead. Live in the moment and cherish the light around you and remember that life has so much more to celebrate than what you wore to your 8 a.m. class — you do you, boo. How can I still look cute without all the ethical and moral dilemmas? One word—Thrifting. Did You Mean Fast Food? No. Fast-fashion is exactly what I mean. Many people are still unaware that this term exists, much less what ethical dilemmas and environmental wrongdoings exist behind the title. Fast-fashion, as explained by the handy dandy dictionary, is "an approach to the design, creation, and marketing of clothing fashions that emphasizes making fashion trends quickly and cheaply available to consumers". That doesn't sound entirely awful, though maybe that's because it leaves out the ethics and dangers I mentioned earlier. So get ready for some fast-fashion transparency. The "slow-fashion" movement has been developing in response to the instability of the warped speed of production from brands like Forever21, H&M;, PacSun, Zara, and the like. 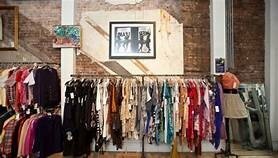 It pins a focus on shifting away from purchasing from these trendy stores due to their ethical and moral downfalls. Fast-fashion companies typically employ cheap labor abroad in factory conditions that are grim and quite depressing. Many of the workers are paid measly cents for the work they do every day, which gets shipped off to places like your local mall, where you purchase it cheaply, but for way more than the person who made it earned. That's already really bad, right? I'm pretty sure we can all agree on that. But the issue with ethics doesn't end there. The environment is something we should all look out for, and it may surprise you to realize just how bad the fashion industry is for our earth. It sure surprised me when I first learned about it! 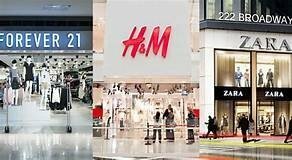 Earlier we defined fast-fashion and made it clear that the main goal for these companies is to sell products cheaply and quickly in order to keep the trends in stores. But as we all know, trends come and go faster than it takes to pull on a new outfit in the dressing room. Remember when scrunchies first came back in style? We were all thinking "Why? Too 90's!". But now they're everywhere and they're cute as all get out. But they might be going back out of style tomorrow. That's what happens with the trends. They're volatile—always changing and coming and going before anyone can get a good grasp on them. That being said, this makes all of the many thousands of trendy clothing items and accessories entirely out of fashion very quickly. Ombre, that pattern where a dark color fades into the lighter shade, was "in" for a while but I haven't seen it in stores in a few years. But where did all of those extra ombre shirts go? To the fashion wasteland, that's where. Otherwise known as a dump that is growing taller and more massive every day with stacks upon stacks of fabric pieces and outdated clothes. Not only that, but it takes a whopping 700 gallons of water to produce one cotton t-shirt. Look down, you might be wearing 700 gallons of water production on you currently. That number is so wildly big that it's almost hard to believe. But this extreme water use is one of the many reasons that the fast-fashion industry is so unforgiving to our beautiful earth. Okay, You're Aware. Now what? Once we are made aware, we can decide what we want to do with this information. We can decide if we will let it affect our consumer habits or not. According to researchers Lisa McNeill and Rebecca Moore, there are three types of consumers; "self" consumers, "social" consumers, and "sacrifice" consumers. Self consumers are focused only on themselves and what they want. They either are unaware of the negatives and are ignorant of the facts or they just don't care about the fast-fashion impacts. Social consumers are more focused on their social image, so they might shop either ethically or not to please others rather than themselves or some deeper personal moral code. Sacrifice consumers are those who are entirely focused on the good of the people and the environment and will give up the luxury of fast-fashion to appease their beliefs. If we all attempt to act more like sacrifice consumers, the earth will surely thank us. It's a bit of a stretch to ask everyone to change their consumer habits, but there are a few easy ways to make the switch. Okay, okay, maybe a little obvious but oh-so-underrated. 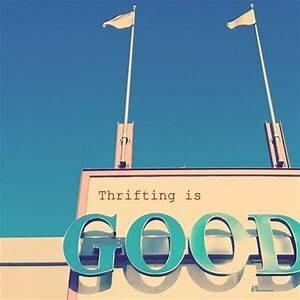 Thrifting is a great way to reduce your traffic at the fast-fashion filled mall while still looking just as cute and trendy like everyone else. And another perk other than a clean environmental and ethical conscience? You will probably never have on the same outfit as someone else! As we have already mentioned, trends come back around in this crazy cycle. 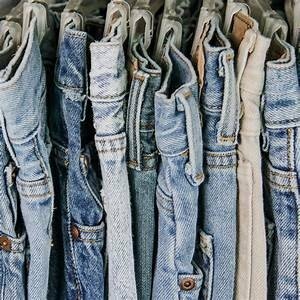 When you're thrifting, you're bound to see clothes that are beyond trendy yet are also a little vintage, which makes them even cooler, let's be real! Another thing we can all work on is hanging on to our clothes for longer. Don't throw them away! As Lizzie McGuire would say,"I am an outfit repeater. Gladly and proudly." And if you are looking for a fresh look, take a bag—a fabric reusable bag, preferably full of your old clothes to the thrift store the next time you search the racks for your next one-of-a-kind statement piece. I'll thank you in advance, and I can promise that if the earth could talk, she sure as heck would be thanking you big time, too.